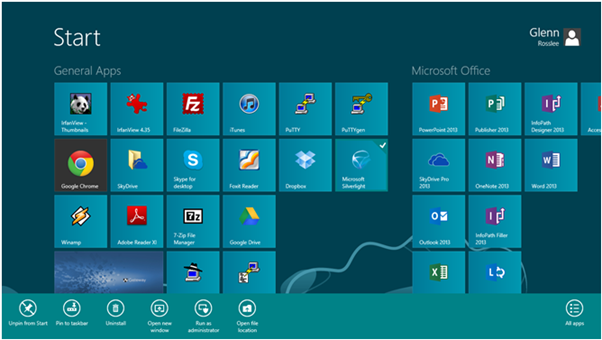 This guide came about by the bad press and perceptions that Windows 8 is a flop. I can understand that people do not like change and that tradition is hard to break. 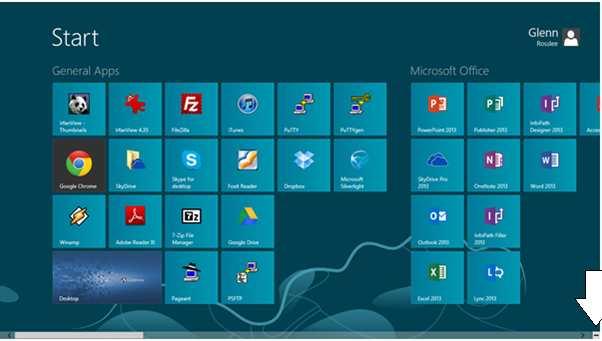 I ask you to be open minded here; think back to when Windows 95 came out and the start menu came into existence. I bet people hated the idea then but quickly fell in love with the concept. I believe we are at that stage again; it’s only a matter of time before people start loving the new user interface. 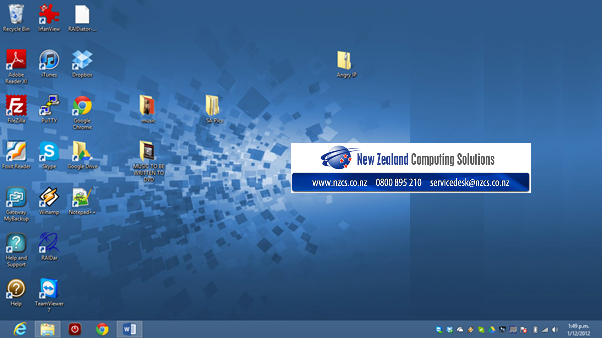 Overall we are very excited about Windows 8 and Windows 2012, these are game changer operating systems and the possibilities are endless as to how we can provide superior service and support to our customers and clients using the new software. 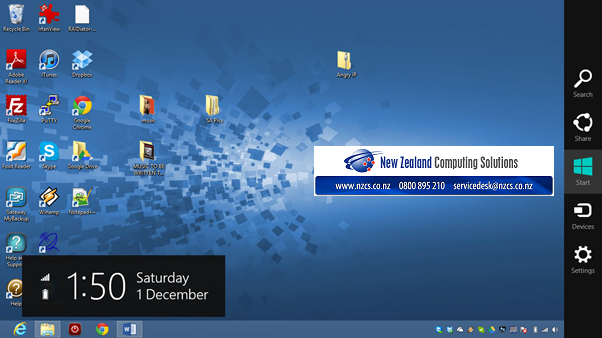 When clicking Desktop you get the main Windows traditional Desktop minus the traditional start menu button. 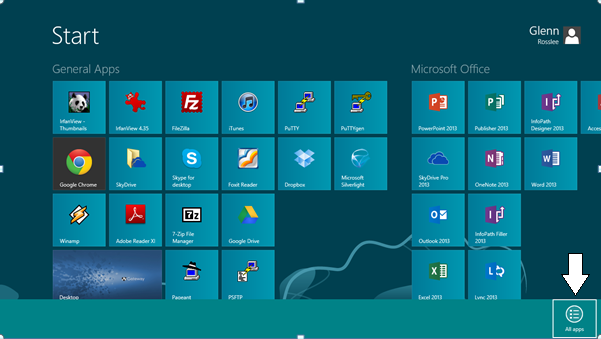 The way to think of it is the menu is now a whole screen rather than a small menu in the bottom left corner. 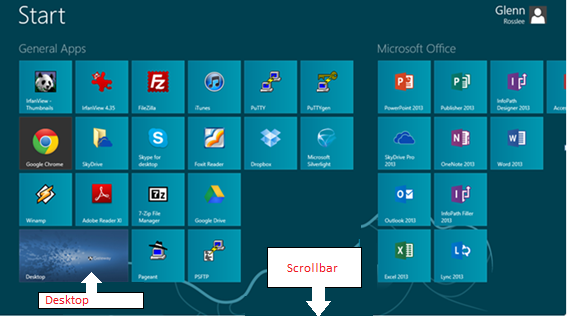 The major difference you notice here is the missing start menu and for the first week or two it may drive you a bit nutty as we retain our brain not to go to the bottom right corner and try and learn to use the WINKEY and then start to type the name of your app eg iTunes you will find it is actually better than using a mouse to the start menu as most people do in Windows 7. 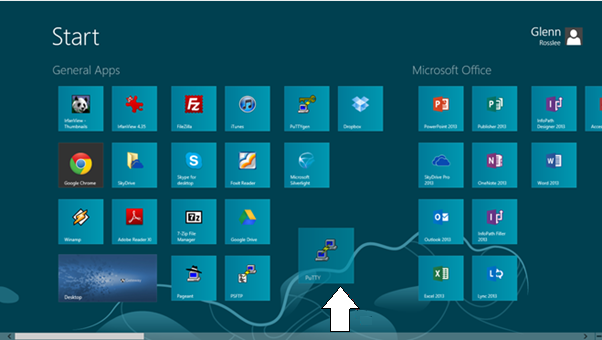 Clicking it brings up all programs and applications that are installed on the computer, this then allows you to further customise the start screen. 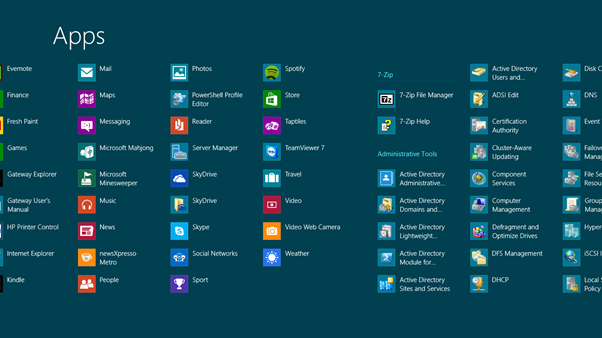 One of the best things to do is to arrange your most commonly used apps to the left of the start menu. 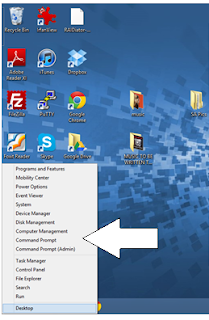 When right clicking on one of the apps you have a range of options to select, such as pinning the program to the desktop task bar or pinning the program to the start screen. 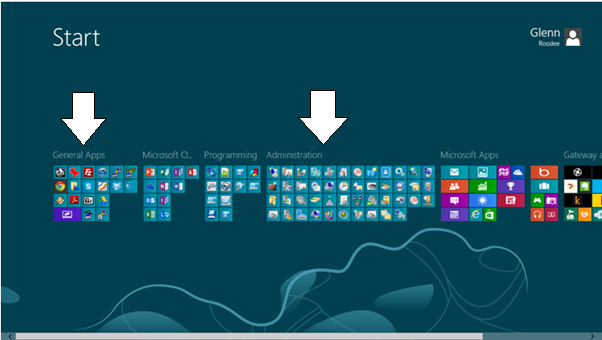 One of the first things I did was pin my top 5 applications to the taskbar. If pinning options are not available that simply means that the app/program has already been pinned. Though you will then get the option to unpin the app/program. 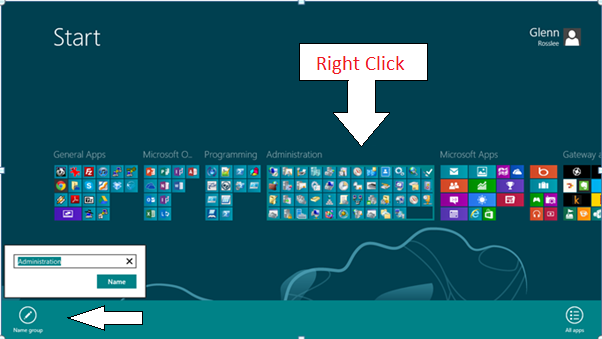 A fast way to get to the power option is to press the WINKEY+I. 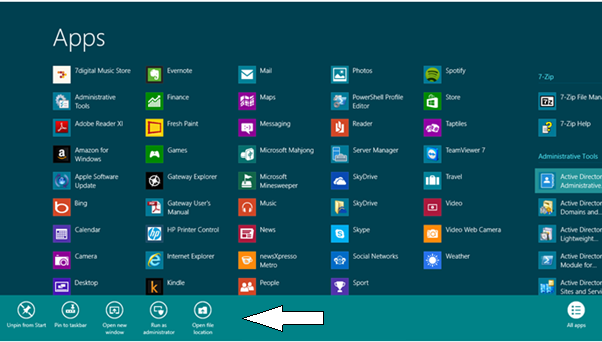 For some more very helpful Windows 8 shortcut keys to speed up your experience I recommend reading Windows 8 Tip: Find Anything with Search by Paul Thurrott.